This is not your regular night vision PTZ camera. It has a very low light image sensor called a Starlight Sensor that can see in color even at night as long as there is a minimal amount of ambient light, as in starlight. Of course it has infrared LEDs as well to see in complete darkness in black and white up to 330ft away. 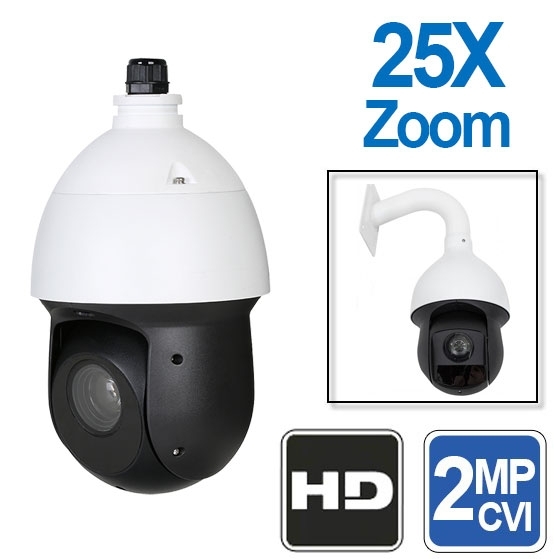 It's a perfect choice for large personal properties or businesses with large lots where they need to keep an eye on possible intruders at night. The 25X optical zoom lens on the camera also comes in handy when trying to see faces; it can see a face up to 300ft away when zoomed in during the day, or 260ft during the night. The HD 1080p video produced by the camera is beautiful and clear, something to be expected from a professional high definition PTZ camera. The camera also offers True Wide Dynamic Range (WDR) to help minimize sun glare. It can do continuous 360 degree pan, and can do a 180 degree tilt with auto-flip. Since it is a professional PTZ camera, it also allows the user to set up to 300 presets using our HDCVI DVR, and up to 5 patterns or 8 tour sets. 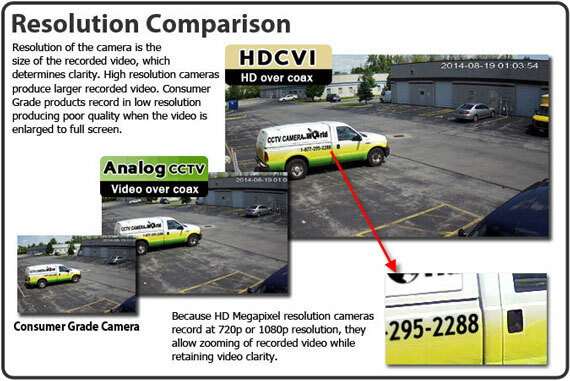 There is also a 3D targeting feature in our HDCVI DVRs and PTZ cameras that makes it easy to zoom in on an area by simply drawing a rectangle with your mouse on the DVR and the camera will zoom in to the location you select. You can even use this 3D targeting method using our friendly PC software when viewing your camera over the Internet using a PC computer. Our smartphone and tablet apps also let you control this outdoor PTZ from anywhere in the world when connected to our DVR.